We live in an era where traditional American, community based, democratic, transparent, nonprofit, publicly funded, public schools are starved of funds and even closed while professional, dedicated, hardworking teachers are punished or fired based on student test results; tests that profit the private sector corporations that produce them. What’s ignored is the fact that tests and teachers cannot fix the effects of: 1. Childhood poverty, 2. Depression, 3. Blood-sugar imbalances, 4. Childhood PTSD, 5.Substance abuse, and 6. Lack of sleep. Why are billionaire oligarchs like Bill Gates, the Koch brothers, Eli Broad, and the Walton family ignoring what tests and teachers cannot fix and spending so much money to subvert democracy and destroy the publicly funded, community based, democratic, transparent, non-profit, public schools and replace them with autocratic, opaque, child abusing, often fraudulent and inferior, publicly funded, private sector corporate charter schools? If you don’t know the answers, start here: Behind Closed Doors of the Billionaire Foundations, The Plot Against Public Education, and The Billionaires’ War Against Public Education. If you are a public or private sector worker with a future promised pension, is that pension safe? Public pensions are allegedly guaranteed by each state and/or the federal government. After all, doesn’t it say so in many if not all state constitutions? That’s why public employees count on the fact that when they retire after working 20, 30, 40, or more years, they will receive the pensions they were promised. In an e-mail my friend listed several examples of promised retiree benefits that have already been broken in both the private and public sector. What happened? Bethlehem Steel transferred its pension obligations to the U.S. Pension Benefit Guaranty Corporation (PBGC). The PBGC did not cover the retirees promised health-care coverage in retirement. When PBGC took over, the 30-years-and-out agreement was scrapped, and workers got the standard U.S. worker’s deal. Some workers were planning to retire at 60, but they had to work until 62 to get their retirement under PBGC. Also, PBGC only took over $3.7 billion even though the fund should have been funded at $4.3 billion. Hence, retirees saw their pension reduced. What happened? Pension checks will shrink by 6.7% or 4.5% for 12,000 Detroit retirees. Two different sources contradict each other (6.7% vs. 4.5%). Almost 11,000 retirees and current employees will have to repay $212 million in excess interest that they received when they received bonuses in some years for their annuity. “U.S. Bankruptcy Judge Steven Rhodes ruled that Detroit’s pensions could be cut even though the state constitution prohibits reducing retirement benefits.” Plus, cost of living adjustments were eliminated. Stockton Bankruptcy (“Judge Christopher Klein conducted a hearing on the City’s proposed Plan of Adjustment, as amended (also known as the “Exit Plan”) on May 12-14, 2014. . . The City shared that the Plan of Adjustment would go effective by end of day-Feb. 25, 2015”) (“Chapter 9 Bankruptcy”). What happened? “As part of the city’s bankruptcy plan, all retiree medical benefits—part of a program costing $544 million—have been eliminated. … Under the plan of adjustment, remaining pension benefits for new city employees will be lowered while individual employee contributions will rise. However, the CalPERS pension benefit for retirees remained untouched during the bankruptcy, but Stockton might not be able to continue to fund the CalPERS pension benefits at their current levels. Did you know that in 1900, 40 percent of Americans lived in poverty? Imagine the burden when a family that was already living in poverty and didn’t have the money to pay for medical care had no choice but to do their best to support their aging parents and/or grandparents and/or children and/or friends and neighbors when there wasn’t enough money to provide shelter or food for even themselves? Maybe that’s why Denmark, Iceland, Switzerland, Norway and Finland are the world’s happiest countries, because they all support strong social safety net programs, the majority feels a moral duty to have them, so no one suffers when friends and family can’t afford to help with food, shelter and medical care. Imagine what it must feel like not to have to worry about your next meal or being tossed out of your home because you can’t pay rent, the property tax, or the mortgage payment. If you want to know the single most powerful force in the United States that is working hard and spending hundreds of millions of their own dollars to destroy the Social Safety net that supports most Americans in their old age, look no further than ALEC, an organization supported by David and Charles Koch and their so-called libertarian billionaire boys club. To learn more, I recommend Bill Moyers & Company’s The Kochs Are Ghostwriting America’s Story. What do you want – a collective effort to support each other (for instance, through Social Security, food stamps, unemployment, Medicare and traditional pension plans) or an environment where everyone is responsible to take care of themselves with no collective support and if you can’t do it, just die quickly or miserably? While reading Endgame: Disaster Capitalism, New Orleans, and the Charter Scam by Paul Thomas, I was reminded of another piece I have been reading from the National Geographic Magazine for May 2016 that focuses on Yellowstone as another perfect example of why there must be an honest and un-corrupted government to limit the greedy excesses of out-of-control capitalism where CEOs — according to Forbes being a CEO is the most popular profession of psychopaths — that worship at the altar of avarice, and are determined to turn a profit and grow fortunes at any cost no matter how many people suffer. The United States government was not created through the U.S. Constitution to be a government for capitalism. The U.S. Constitution created a government and a republic to protect all the people, not to provide opportunities only for the Bill Gates, Donald Trumps, Kochs, Waltons, Zuckerbergs, Tim Cooks and Eli Broads of the world. Here is the real Preamble to the U.S. Constitution that was written to protect all the people from tyrants of all sorts, including psychopathic CEOs of autocratic, for profit, private sector corporations. In Conclusion, I urge readers of this Blog to not only share the link to this post with everyone they know but also to heed a warning from Benjamin Franklin. What is closer to a monarchy, a for-profit corporation managed by an autocratic un-elected CEO that answers only to a board of directors and/or a few of the wealthiest and most powerful shareholders OR a republic with power divided between the appointed justices of the U.S. Supreme Court, the elected Congress and an elected president with a term limit of eight years after winning a second election for another four years to live in the White House and pledge: “I do solemnly swear (or affirm) that I will faithfully execute the Office of President of the United States, and will to the best of my ability, preserve, protect and defend the Constitution of the United States.”? Maybe it is time for the U.S. Military to step in and defend America against its domestic enemies who are spending billions to Subvert the American government and trample the U.S. Constitution and the Republic it created. I also suggest reading A Brief History of the Corporation: 1600 to 2010 to learn more about how corporations manipulate our world and our lives. 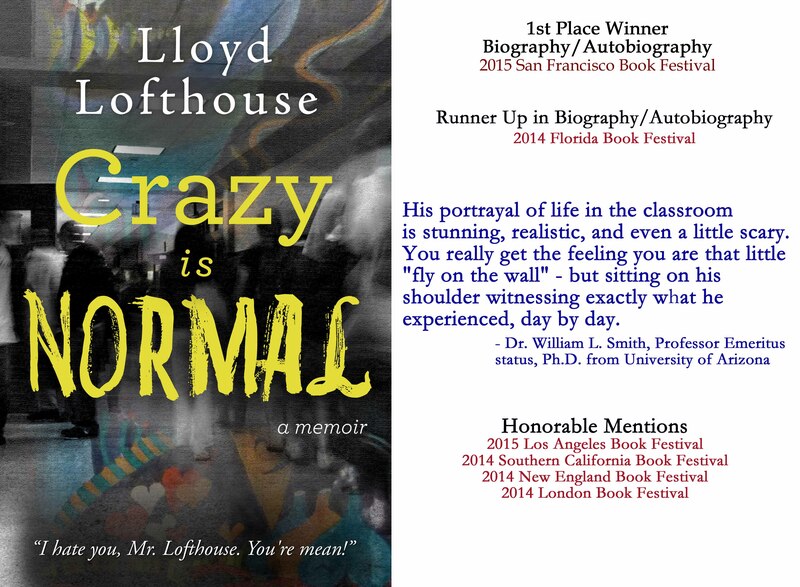 Lloyd Lofthouse is a former U.S. Marine and Vietnam Veteran, with a BA in journalism and an MFA in writing, who taught in the public schools for thirty years (1975 – 2005). 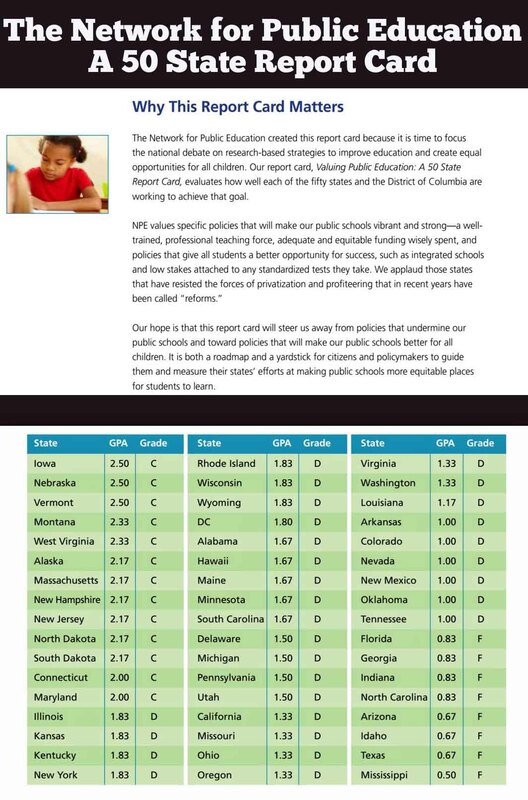 The Shocking 50 State Report Card on Support for Public Education in the U.S. I was reading the latest issue of National Geographic Magazine when I saw the following paragraph and realized that the test obsessed corporate public education reform movement is threatening the health and future of most of America’s children. There’s a lot more information out there that supports traditionally known methods of educating our children and little or no reputable support for the test obsessed rank-and-punish corporate system that billionaire oligarchs like Bill Gates funds with hundreds of millions and even billions of dollars to force autocratic, opaque, for profit corporate education methods on us and our children. “We are experiencing a cultural shift toward increased academics at the earliest possible age,” says Rhonda Clements, Ed.D., a professor of education at Hofstra University and president of the American Association for the Child’s Right to Play. The organization, part of the International Play Association, formed in 1973 with the mission of “protecting, preserving and promoting play as a fundamental right for all children.” Since then, it has become a leading advocate of preserving recess in schools. The obsession with high-stakes standardized tests is stifling creativity and imagination in the classroom. Standardized tests are being used in high-stakes ways to evaluate and punish teachers. The obsession with standardized tests is promoting a culture of cheating in many schools. When standardized tests are the most important thing, the fostering of critical thinking in the classroom gets short shrift. Standardized tests mostly benefit companies making millions from them. “For statewide testing in Texas alone, the company (Pearson) holds a five-year contract worth nearly $500 million to create and administer exams.” … “The mingling of business and education blurs the line between learning and profit-making. Some education reformers advocating for increased reliance on testing also lobby for the large testing companies. It’s often difficult to tell if lawmakers stick with education policies because they’re effective, or because they’re attached to high-dollar contracts. In conclusion: if you have read this far, who do you think benefits from corporate driven public education reform—funded by a few billionaire oligarchs, like Bill Gates, the Walton family and the Koch brothers—our children or the corporations and names behind the systematic destruction of community based, democratic, non-profit, transparent public education? Who do you think should pick the elected leaders of the United States? My old friend did it again. He’s a good bellwether for far-right conservative thinking, because he is a born-again fundamentalist Christian, far-right libertarian who thinks abortion is murder and that women should be ruled by men because, well, women are women, and the Bible supports what he thinks. He reads far-right writers, and he watches and listens to far-right media. If he thinks something, you can easily guess where he is getting his ideas. This post is a copy of the letter I wrote to the Congressman. I opened the flier and read the five points you claim to fight for every day. While I agree with your five points, what wasn’t there is why I have decided to stop supporting most it not all Democratic Party candidates. The GOP lost me when Reagan was governor of California. The Democrats are losing me because of the Obama administration, and its support of the corporate education reform movement that declared war on the public schools back with the fraudulent and flawed A Nation at Risk report that came out of the Reagan White House in 1983. Have you ever read the Sandia Report of 1990? If not, you should. The public schools are under attack by special interests: for instance, the Bill Gates billionaire cabal, the Koch brothers cabal (ALEC), the Walton family, Eli Broad, hedge fund billionaires, etc. Arne Duncan is the worst Secretary of Education in U.S. History. Too many democrats support opaque, for profit (no matter how you look at it) often fraudulent and inferior corporate Charter schools literally stealing money from community based, democratic, transparent public education. For instance, Eli Broad wants to spend almost a half billion dollars to take over half of the children in the Los Angeles Unified School District and put them in the hands of often corrupt and autocratic corporate education deformers. 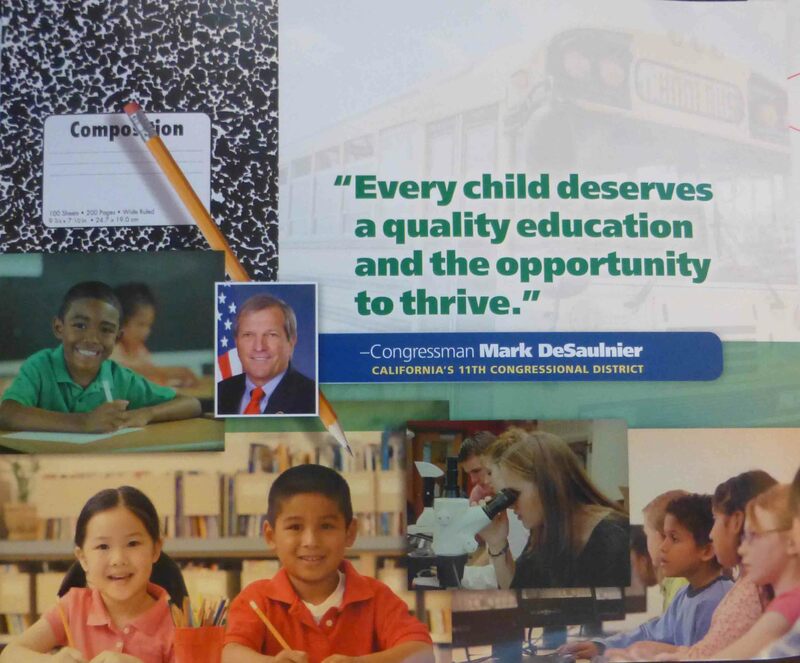 Where is your support for the community based democratic public schools? I didn’t see that in your flyer. I was a public school teacher for thirty years (1975-2005) in Southern California. During those years, I often worked 60 – 100 hour weeks and so did many of my fellow public school teachers. I was born into a family living in poverty. As a child I had severe dyslexia and also had a life threatening health challenge. Out of high school, I joined the U.S. Marines and ended up fighting in Vietnam. In 1968, I went to college on the GI Bill and five years later graduated with a BA in journalism—the first in my family to go to college and graduate. 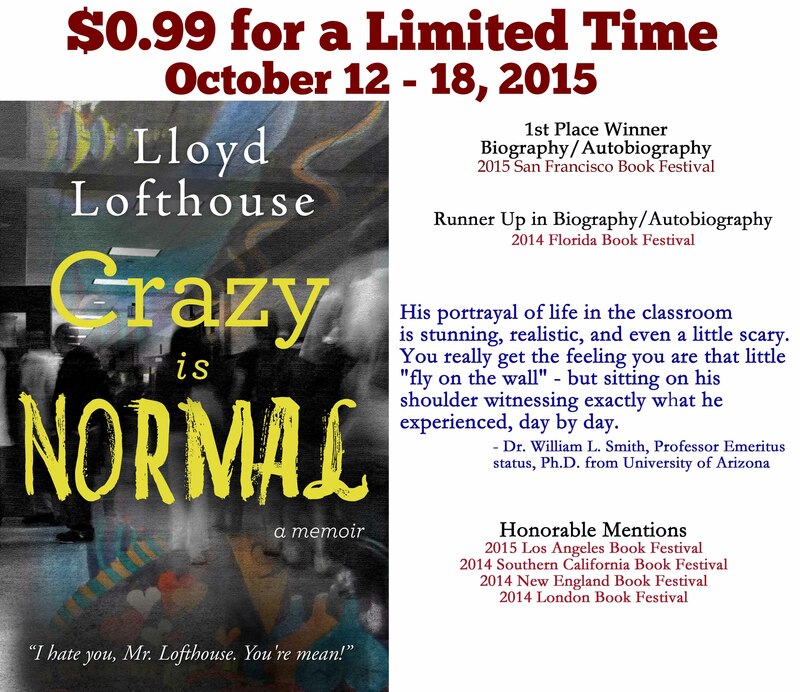 Today, I’m the author of three award winning novels and one award winning memoir. My wife is Anchee Min, the author of two memoirs and six novels. Her first memoir was named a New York Times Notable Book of the Year and won the Carl Sandburg Award. One of her novels was a finalist for the British Book Awards. Many of her books have been national bestsellers, and her work has been translated into more than 30 languages and has sold more than a million copies in English alone. When we were dating back in 1999, she sat in my classroom to watch me teach, and she knows the challenge teachers really face to get all the children to make an effort to learn. Yes, I agree that every child deserves a quality education and the public schools have always offered that opportunity for students who arrive ready to learn. Teachers teach but what they teach must be learned by the students, and the parents/guardians must support both the teachers and the children for learning to take place. Public school teachers cannot do the learning for the children. Most if not all of the opaque, for-profit and nonprofit corporate Charters schools are not offering a quality education for EVERY child. The evidence is overwhelming that these charters are cherry picking students and suspending many at-risk students that need the most help until those children leave and hopefully return to the public schools that are now challenged to offer adequate resources to educate these children because frauds and charlatans like KIPP, the Success Academes in New York and the New Orleans Corporate Recovery School District are legally being allowed to rob from the poor/middle class and give to the wealthy. I suggest strongly that you match your actions in Congress to what your flyer says and fight to fully fund and supportthe community based democratic public schools and close the door to psychopaths like Eva Moskowitz and Michele Rhee. 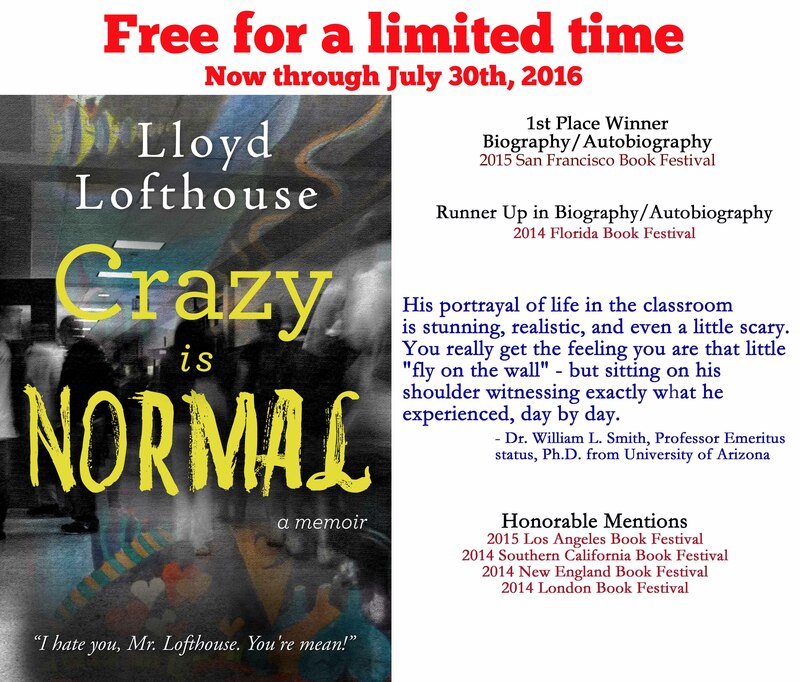 You should also start reading Diane Ravitch’s Blog and her books in addition to my award winning “Crazy is Normal” teacher’s memoir to discover what it means to be a teacher. No more NCLB. No more RTTT. No more Common Core high stakes testing that ranks teachers, fires them and then closes public schools. In the next presidential election, I plan to vote for the Green Party candidate for president unless I hear from the Democratic Party candidate that they support the public schools and offer the country a written pledge that they will resign from the office of president if they go back on their word. It is obvious that Hillary Clinton is not that candidate, because she has close ties to Eli Broad, who is waging an all-out war to destroy community based, transparent, democratic public education. If this means the GOP takes the White House and both Houses of Congress, well, I’m 70 and only have a few years left. I’d hate to die knowing that the democracy I fought for in Vietnam is now an oligarchy ruled over by the Walton family, Koch brothers, Eli Broad and the Bill Gates cabal. If you believe in the Republic of the United States and its democracy, then fight for it in Congress and prove what you think with your actions and not your words. If you fear the wealth of the oligarchs and the power that wealth buys, then what you do in Congress will reveal that too. Have you read the January 15, 2013 Stanford Report on U.S. student performance? If you haven’t you should. PS: Our daughter graduated from Stanford in June 2014, and she attended California public schools k – 12. I told her when she was in third grade that learning was her responsibly and not her teachers. Her teachers were responsible to teach, and if she didn’t learn, even from incompetent teachers, it was her fault and not the teachers. When she was in her second year at Stanford, I asked her how many of the almost 50 public school teachers she had k – 12 had been incompetent. She thought about it and eventually said TWO. The five public school districts she attended k – 12 did their job and she did hers. I think that anyone who blames public school teachers for children who don’t learn is fools and/or frauds. If you honestly love the United States and what it is supposed to stand for, please share copies of this letter with the members of both Houses of Congress.